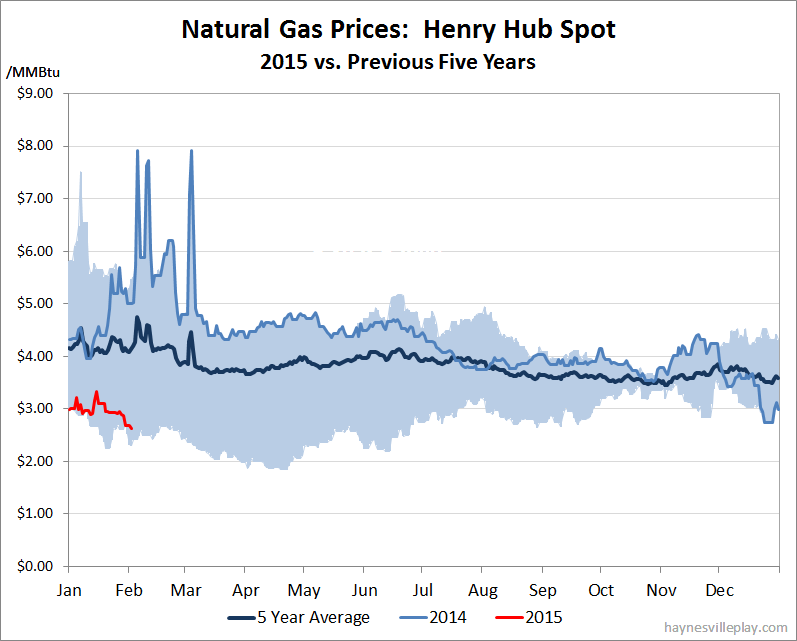 The Henry Hub natural gas spot price closed at $2.63/MMBtu yesterday. Last year this week, the price spiked to $7.91 and averaged $6.34 for the week. I'm not even going to do the math.